Schweppes Australia has announced it is launching a new product known as “liquid water enhancers” which appear to be little more than a cordial for adults. Liquid water enhancers are concentrated flavours, in an easy to use format that can be mixed to make water more interesting. In the US the category has rapidly grown to be worth over $400million in less than three years. Schweppes ran a trial in South Australia over the summer which has proven the opportunity for this innovative format in Australia. 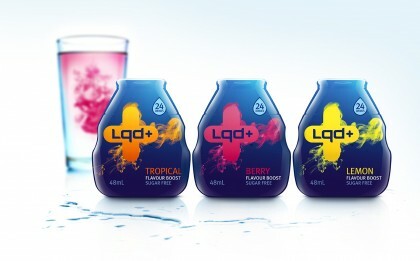 Schweppes is creating the category by launching a product range under the Cottee’s brand called Squirt, and another new range called Lqd+. As creative partners on Schweppes cordial and water brands, Asprey Creative was asked to develop the brand and packaging and other supporting collateral for Cottee’s Squirt and Lqd+. The products come in a pocket-sized, tactile format and allows consumers to “customise” their drinks on the go by adding flavour to water whenever they want. A suite of three popular flavours are featured across both brands. With Schweppes, Asprey Creative developed distinctive brand platforms for Cottee’s Squirt and Lqd+ including brand development and extension onto packaging and in-store collateral.